Wanna chase that “Lifestyle Business Owner” dream? This probably isn’t the place for you. All the hype and BS surrounding the gurus telling you about being able to become a 7-figure online trainer or work just a few hours a week while building an empire is holding you, and the rest of this industry back. Now that we’ve got that stuff out of the way we can get to the good stuff. 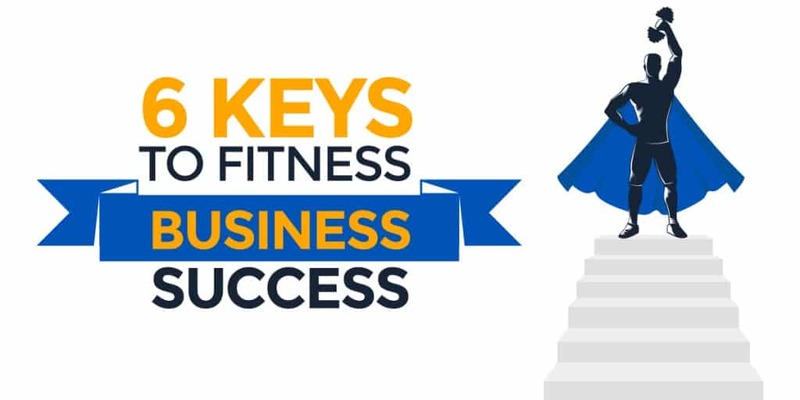 What does it really take to run a highly successful fitness business? Online, studio, bootcamp or even a great business as an independent trainer. A successful fitness business is built off the work of a High Performing Fitness Business Owner. Without a leader ready to tackle the toughest challenges and take risks, the business stands no chance at reaching its full potential. You must transform from fitness professional to fitness business professional to achieve your biggest goals. High Performers want to know the truth. And sometimes the truth hurts. Surrounding yourself with ‘yes people’ and only wanting your decisions to be confirmed is a dangerous game to play as a business owner. Always look to be challenged and uncover the truth about your decisions and your thought process. High Performers don’t always make the right decisions and the outcomes of the best decisions don’t always work out in their favor. Mistakes are made, but the High Performer learns from those mistakes. High Performers are willing to bet on themselves. They will invest in their marketing, in their personal development and in their growth as a business owner. The best investment you can make with time or money is on yourself. You’ll see business owners who continue to struggle constantly make excuses for why they can’t afford to market or hire a coach to help them grow their business. It’s not that they can’t afford it, but that they don’t value the investment. If you knew that you could invest $1,000 today, but it would turn into $2,000 in 3 months you’d make that happen, right? That’s what marketing and coaching, when done right, can do for you and your business. You may be thinking “WTF does that mean?” It’s pretty simple. Kindness is delivering information to someone with the intent to help them grow. You deliver kindness because you care about the individual. Being nice is telling the person what they want to hear or omitting information that may upset them. As a High Performer you’ll need to learn how to communicate with your team, and even clients, kindly. There are going to be times that you have to be critical of someone’s performance or actions to help them grow as a member of your team. You can’t be afraid of conflict and avoid delivering this message if you want to be a High Performer. You can’t be busy and be a High Performer. Busy is what the average business owner calls themselves. Productive is how you describe a High Performer. To be productive and think strategically about the growth and development of your business you need to create space. Space to think, to ponder, to ideate, to grow. You’ll be tempted to put out every fire, tackle busy work, and seem busy to avoid having to spend time with your thoughts. In a world that moves incredibly fast it can be a real challenge to slow down and think. This isn’t wasted time! Your best ideas and strategies will often come after an hour or two of sitting and thinking about your business without distractions. There isn’t a single High Performer that I am aware of who has accomplished their success alone. High Performers understand the power of surrounding themselves with people who make them better and lift them up. The saying that you are the average of the 5 people you spend the most time with is proven true over and over again. In fact, many of the times that I’ve felt stuck in business or my own personal development have been because I either outgrew my current network or wasn’t surrounding myself with the right people. Finding a group of peers that you can connect with, lean on for help in challenging times and that help you grow as an individual and business owner will accelerate your progress. There’s nothing more powerful than being around the right group of people. High Performers tend to identify opportunities and take action on them quickly. Not every opportunity is worth moving on, so you’ll have to learn to make good decisions. Often times the decision to act means evaluating risk and learning how to manage that risk as you continue to move on the opportunity. One of your biggest opportunities as a Fitness Business Owner is being apart of the Elite Fitness & Performance Summit. 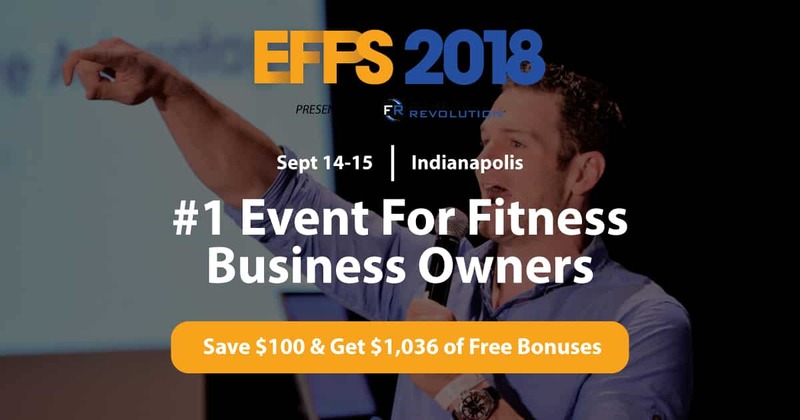 This is the #1 event for Fitness Business Pros in 2018. This is your opportunity to learn from top experts in the industry, discover strategies that will transform your business and connect with a network of High Performers.